Pandit Hariprasad Chaurasiya started his sojourn in music since the age of 15. The flute maestro breathes life into world music with the composition of flute and a mixed bag of digital and classical music. The mood his flute playing in the world music sets you in is, here and now, enjoying the serenity of the present, that the present wants to present to you. Romancing flute with tabla, and other stringed instruments, this discography is a blend of esoteric with an urban twist, for the new and the old, and the one that loves to celebrate life through music. The sitar in the background bespeaks of the 80s puritanism in emotions that inspire music. Settling in the harmony of flute music based on Indian ragas and the background of world music symphony is what your soul might get nourishment from early morning. Flute ragas have a reason to be the early morning glory, because each day welcomes a new inspiration to be an extension of your better self beating the banality of existence per se. Indian ragas and western classic romantic music are a world apart like oil and water; but in the cosmos of music, this oil and water find an avenue to blend through symphonies and portmanteaus. Celtic flute music is enamoring, and has a different beat. Celtic flute music usher you into a dream state of transcendence. Indian ragas in flute let you stay in the here and now of existentialism, for that is what we are here to be, to exist in harmony. When you listen to the bliss hidden inside the Indian ragas through the Maestros flute compositions, you are not thinking, you are sailing to a higher philosophy in your mind that disconnects inessential. The land of Uttar Pradesh has some magic, legends are born in that sacred land and they give the world ecstatic music. Unhurried, at its own pace letting you know how life takes its own journey pace by pace. The music you listen to has a psychological effect, more of a ripple effect. Not that rock is a bad genre of music, its dynamic, that contrasts with the peaceful instrumental music. As much as the fiery rock music minus the negative lyrics (a lot of rock music has positive, meaningful lyrics too) has its own element, flute music sets a rhythm to the subconscious mind. Early morning ragas are a melodic feat, a symphony from an eon older than the Earth. Exploring the mysticism of the aura these ragas beget, seeps a calm of the sacred mountains, dew of the leaves in lush jungles, and the salute to the morning sunrise that is a gift of every mortal. You know when that happens, and often, it opens avenues, new paths, asking you to explore them, seeking all that is unheard to unravel them. Or maybe just enjoy the moment, if depth has still not touched your happy soul. When you are happy and content, its like you are not looking for new beginnings, and nobody can judge if that sort of limitation is intimidating. Nirvana is not the only key to bliss. When you live in the moment in peace, unruffled, its a higher state to ascent. 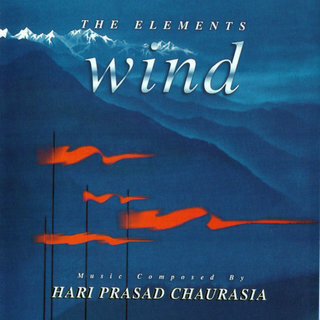 World music with a magic of Pandit Hariprasad Chaurisiya ascends you to that higher realm. Away from the cosmos of item numbers, EDMs, and commercial music, is this sacredness of this music of the mountains, river streams, and an admission into a natural world to a novel beat.